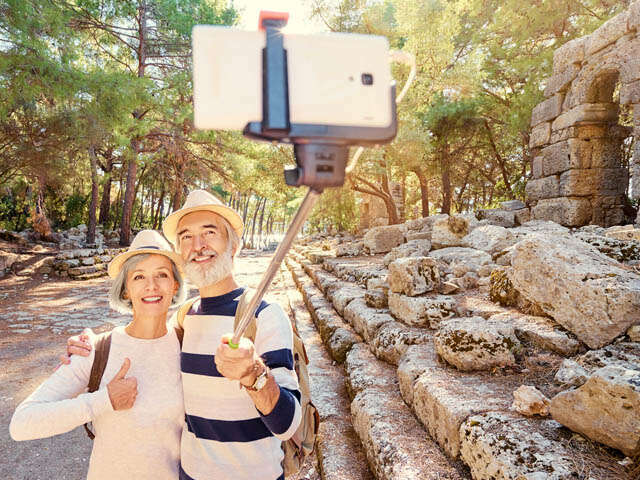 Vacation Photo Etiquette | UNIGLOBE Direct Travel Ltd.
It’s important to practice some photography etiquette, especially when you’re not on home turf. To help capture the shot without ruining the moment, follow these tips before you “say cheese” on your next trip. Keeping visual mementos of your holiday is easier than ever thanks to smartphones, selfie sticks, and wearable tech like GoPros. And while capturing once in a lifetime picture should definitely be part of your next travel adventure, it’s important to practice some photography etiquette, especially when you’re not on home turf. To help capture the shot without ruining the moment, follow these tips before you “say cheese” on your next trip. During my last trip to Paris, many museums were explicit in not allowing selfie sticks. This ban has expanded to other notable landmarks, including Disney and the Sistine Chapel. While selfie sticks aren’t disallowed everywhere, it’s wise to check before you get to your desired landmark(s). Sometimes the subject you want to shoot isn’t a thing, it’s a person. If that is the case, be sure to ask permission first. Taking the extra step to be polite may result in a “no,” but it will make the experience a better one for you and your subject if they do oblige you. After the snap, share your results with your newfound travel friend! While we can ask permission to take photos with humans, we can’t with animals. It should seem like common sense, but animals should never be cajoled or handled in order to get a shot. It puts them and you in danger. Whether you’re on a bus, out in a field, or at a zoo, be sure to be cautious and respectful of the creature you wish to shoot. Photos from travel adventures are wonderful souvenirs to be treasured forever. Hopefully with these tips, you’ll take back these visual tokens with grace and a newfound respect for your chosen destination!